What is the Victor V-Saturn? Victor is not a brand we in Europe are familiar with. Although at the same time, we are. Ever heard of JVC? JVC sell all manner of commercial electronics from TV’s, Stereo’s, Camera’s and DVD players, and are easily spotted in most distributors in the UK and Europe. JVC actually stands for Japan Victor Company. 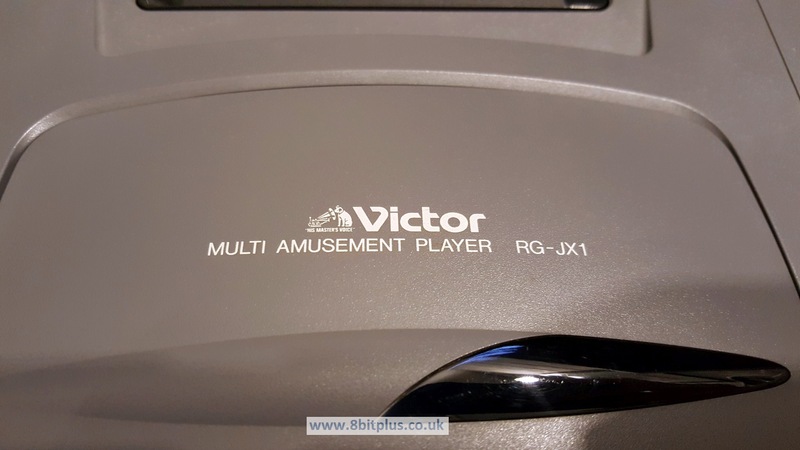 In Japan Victor mostly used their original name and JVC elsewhere in the world. You might also recognize that other logo that features closely with Victor. Its a small dog listening to His Master’s Voice on a gramophone. Yes, Victor own the HMV logo and hold the rights to display it on electronic goods in Japan. What did they have to do with the Sega Saturn? Sega have had a history of allowing other company’s to produce and distribute their hardware under licence. Sometimes this was helpful in gaining a foothold in other markets. Like Tectoy in Brazil who produced a long line of official Master System clones. 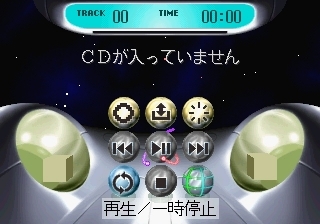 Sometimes the third-party consoles would introduce new features like the combination Megadrive, Mega-CD and Laserdisc player from Pioneer (called the LaserActive). 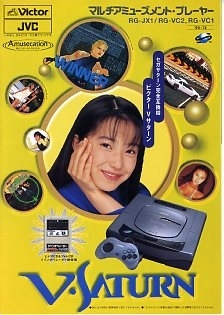 Victor also produced a combo Megadrive and Mega-CD in 1992 called the WonderMega. 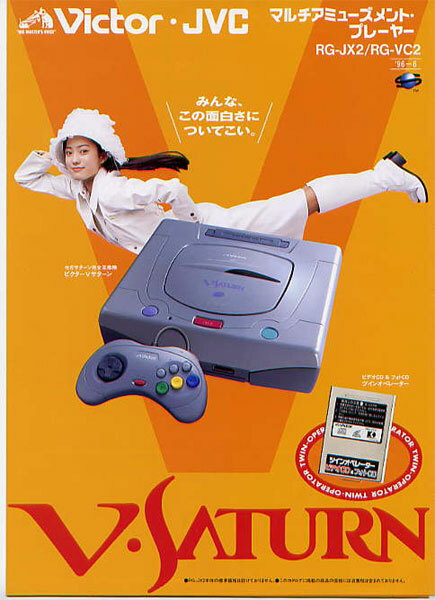 It sold fairly well and so put Victor in good stead with Sega to produce their version of the Sega Saturn. 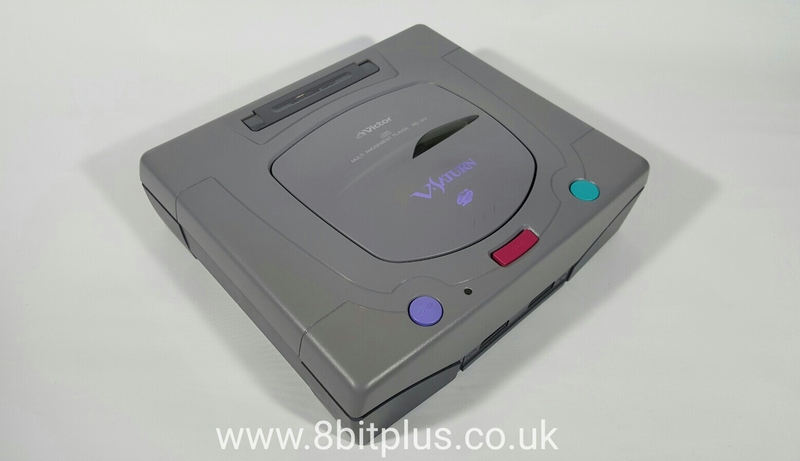 In addition to Vector, Hitachi and Samsung produced Saturn consoles under licence from Sega between 1994 and 1997. 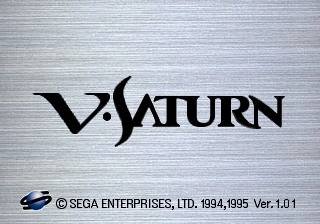 Victor produced two version of the V-Saturn in line with the two variants available from Sega. This is the first version of the Victor V-Saturn. You can see it closely resembles the original HST-001 model on which its based. 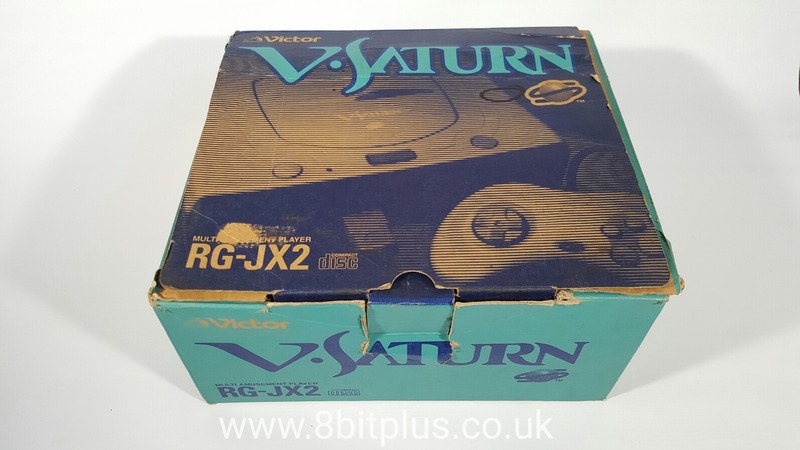 Outwardly the RG-JX1 V-Saturn has a different colour case to the official Sega Saturn. looking more of a smoky grey then the original. Power and reset buttons are also a different colors and set against a mat black boarder, rather than the glossy button panel of the Sega Saturn. The Saturn logo remains on the lid, but the Sega brand logo is absent. Other than the point above the console is identical outwardly. All the plastic parts use identical mounding to the Sega originals. I think Victor might have taken the chance to make a more distinctive look to the console, but this would have been costly and needed more design time. In my opinion the mk1 Saturn is one of the best looking consoles of all time – so why change perfection? 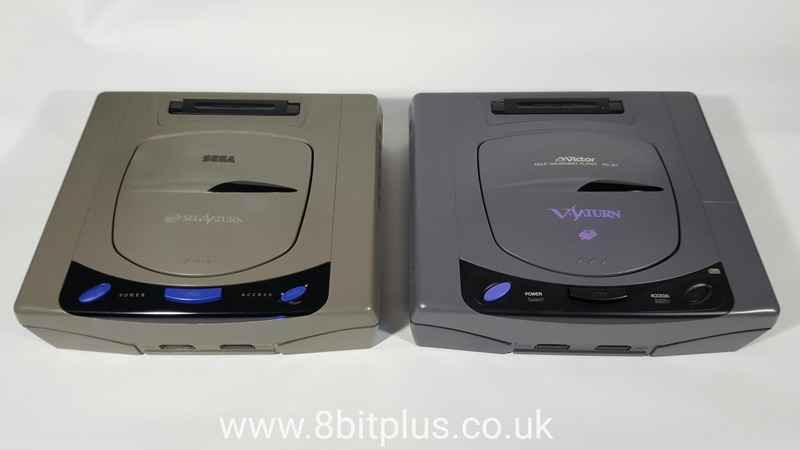 Here you can see the comparison of the V-Saturn RG-JX1 to Sega Saturn HTS-001. Just like the above model, the RG-JX2 takes the second version (HTS-0014) Sega Saturn and makes only a few colour changes. 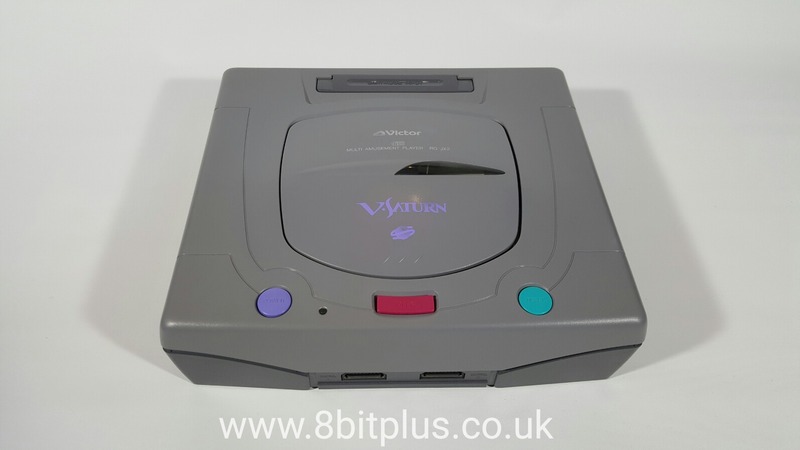 This time instead of the stark white or the original, the V-Saturn is a very nice shade of blueish grey. 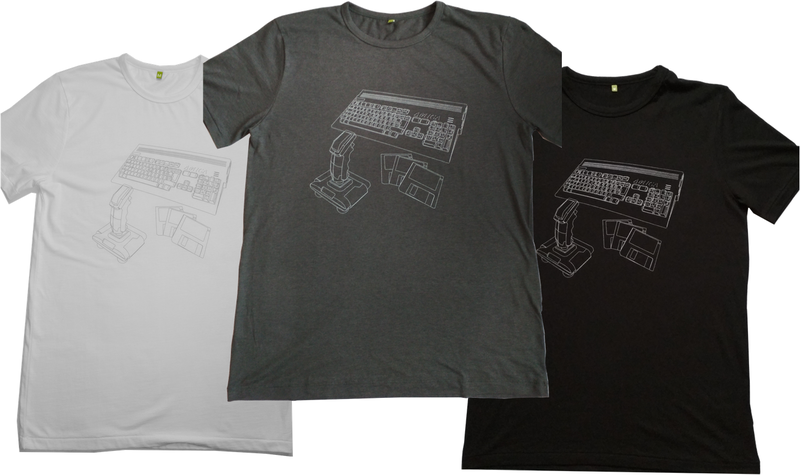 The buttons located on the top are also colored to look more distinctive than the original grey ones. Power is purple and reset is a tone of green. The tray button remains more or less the same pink as before. 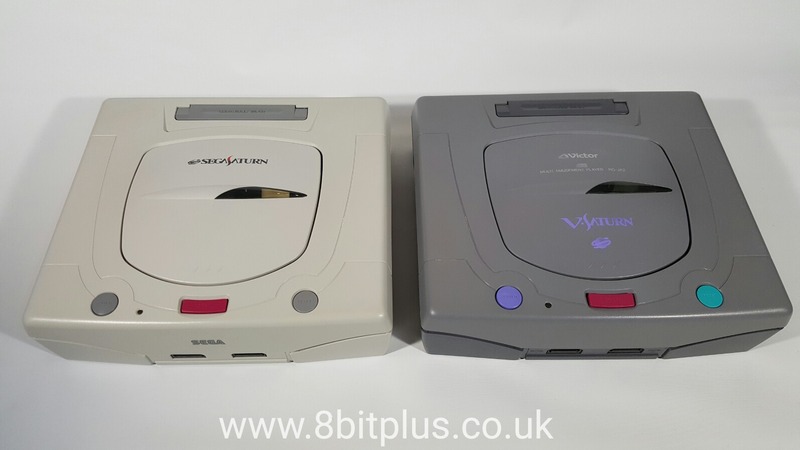 Here you can see the comparison of the V-Saturn RG-JX2 to Sega Saturn HTS-0014. Under the lid of the RG-JX1 there no dicernable differances to be seen. 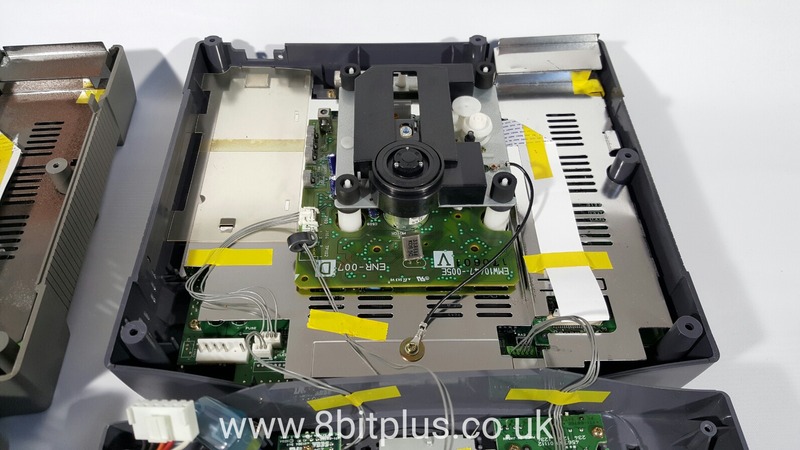 Inside the RG-JX2 its the same story, you can see its exactly the same as the Sega Saturn. When booting both the RG-JX1 and 2 have a slightly different BIOS startup logo. 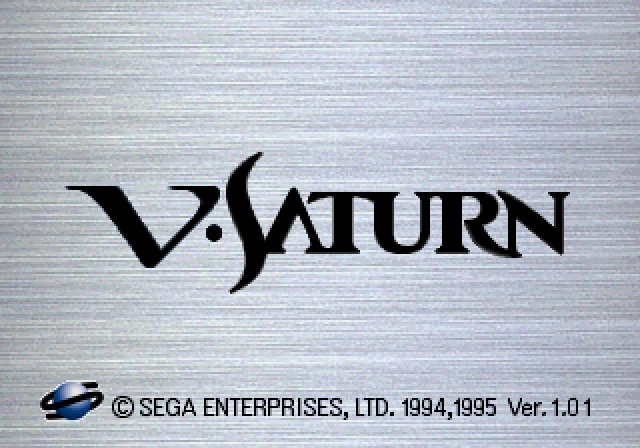 instead of showing Sega Saturn, they both show V-Saturn logos. Apart from that there’s no other visible difference. RG-JX1 will wither have BIOS version 1.00 or 1.01. RG-JX2 will have BIOS version 1.01. No different the original bios. No extra features. Screenshots captured in SSF emulator using V.Saturn bios file 1.01 1995. If you are in the market for a Jap import Saturn, then the Victor V-Saturn will fit the bill nicely. Both models cost only slightly more than the Sega versions and can be found with original box without much hassle. 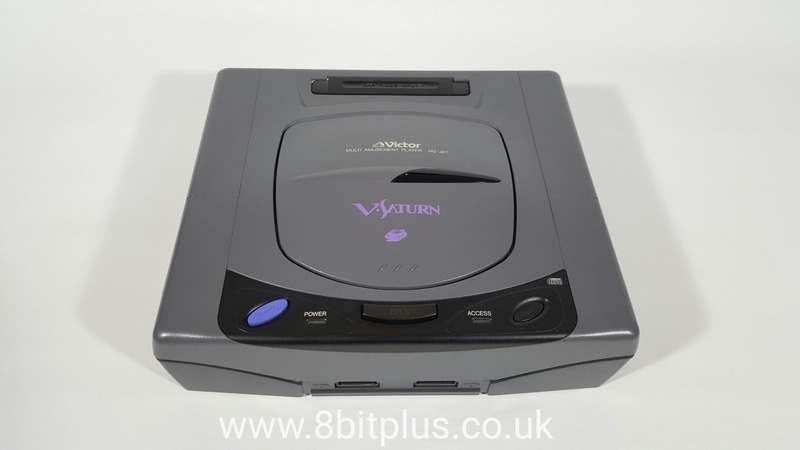 If you already have a Saturn in our retro game setup then the V-Saturn wont bring any additional appeal over the Sega unit. 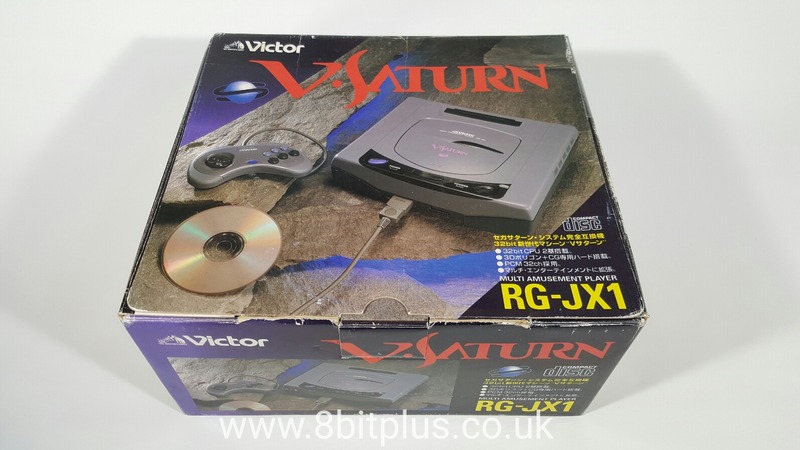 For me Victor V-Saturn makes a great addition to my collection. Its also an interesting point in the Saturn timeline and for Sega, as it was one of the last times a (licensed) third party Sega compatible console would be released in Japan. Any questions or comments are welcome below.